One of the very best villages in the region, Rasteau’s red wines do not have their own AOC but deserve to. For the moment it can merely append its name to that of Côtes du Rhône Villages. The vineyards are located north of Gigondas, and the wines are deep-coloured and robust, with a good structure and spicy warmth. A small amount of slightly heady white and rosé are also produced. 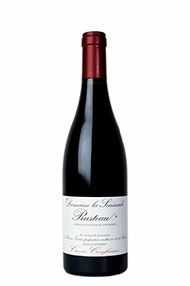 One of the very best villages in the Southern Rhône region, Rasteau’s red wines were promoted to their own AOC in July 2010. Before that, Rasteau merely appended its name to that of Côtes du Rhône Villages. The vineyards are located north of Gigondas, and the wines, mainly from Grenache, Syrah and Mourvedre grapes, are deep-coloured and robust, with a good structure and spicy warmth. A small amount of slightly heady white and rosé are also produced. The Appellation Rasteau Contrôlée, established in 1944, is used for the commune’s sweet, grapey Vins Doux Naturels made from Grenache. These hearty wines come in various shades of white, rosé, tawny and red depending on how they are made and aged. Best enjoyed in their youth they seem to be making a revival, although they are not as good or as popular as those from the Rhône’s other Vin Doux Naturel appellation, Muscat de Beaumes de Venise. A further AOC is Rasteau Rancio, a Vin Doux Naturel that has been exposed to sunshine and oxygen in barrels for up to two years, resulting in a sticky brown wine of variable quality.